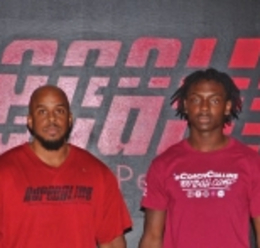 Adrenaline Sports Performance is preparing young athletes for the next level of success and giving them a head start in their sports careers. WHEN TRAINING TO BECOME A BETTER ATHLETE, it’s imperative to know your weaknesses, so you can work on the areas that are holding you back from your full potential. But, unfortunately, most gyms only offer personal trainers who provide the same routine to pretty much every client. “A lot of centers around here are more cookie-cutter, and do not focus as much on the individual,” owner of premier fitness center Adrenaline Sports Performance, Chad Hallett says. Hallett, who has a degree in exercise science and more than 15 years of experience, believes this approach doesn’t really address the needs of each athlete, so all of the coaches at Adrenaline provide customized workouts that address three core areas of fitness: speed, strength/power and flexibility. “It’s tailored to what the athlete needs and what they’re looking to improve on,” Hallett says. The sports training program at Adrenaline can attend to the needs of athletes of all ages and levels. The sports performance center also limits the number of athletes assigned to each coach so that each athlete is getting 100 per cent of the coach’s attention. As a comprehensive sports performance center, Adrenaline provides massage therapy and nutrition counseling, in addition to its sports performance and personal training programs. It’s the center’s hyper-focus on athleticism that drew football player Dante Kiett to begin training with his Adrenaline coach. A rising senior at Camden Catholic High School, Kiett plays for the school’s Fighting Irish football team. Like all of Adrenaline’s athletes, Kiett first went through the center’s assessment, which looks a t an athlete’s movement patterns and muscle imbalances. It also examines the athlete’s speed, muscular strength and flexibility. The test includes going through a functional movement screening, a te chnique in exercise fitness where the athlete’s movements are scored and studied so that the coach can note the inefficient movements that are causing reduced performance and increasing the risk of injury. By noticing these inefficiencies, the coach can help reverse the problem and optimize the athlete’s technique and execution. “We take them through a whole battery of tests so we can design a comprehensive program to address their needs,” Hallett says. Kiett has been training with his Adrenaline coach for about a year and in that t ime he’s made major improvements. Kiett is planning on playing ball in college and in the past month has received numerous offers from Division 1 schools. 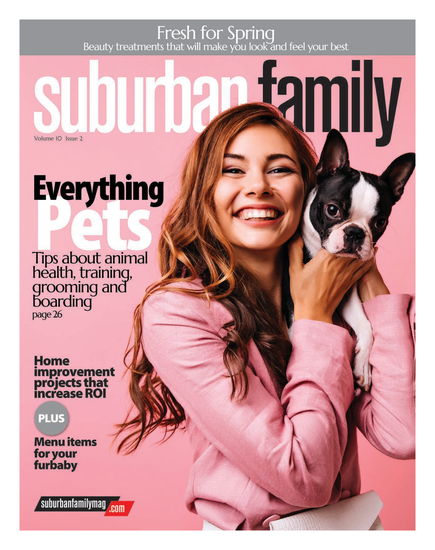 Published (and copyrighted) in Suburban Family Magazine, Volume 9, Issue 4 (June 2018).